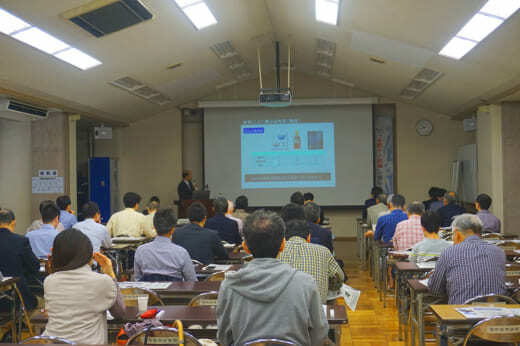 On September 30, Kanazawa University 2018 Open Lecture Series, “Pioneering Unexplored Nanoscale Realms: Nano Life Science Institute, Kanazawa University” started at Kanazawa University Satellite Plaza. 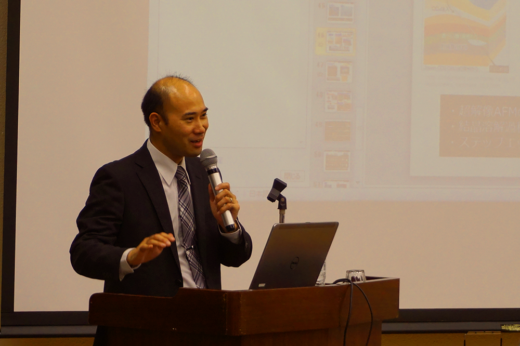 Prof. Takeshi Fukuma, Director of WPI-NanoLSI, gave the first lecture titled “Origin of Physical Properties and Life Phenomena Visualized by Microscopy”. He introduced a story about developing Frequency Modulation Atomic Force Microscopy (FM-AFM) technology, which made it possible to visualize subnanometer-scale features of biological molecules in liquid and the ongoing challenge to pioneer unexplored nanoscale realms in life science. Around 40 participants listened attentively to the lecture, which was followed by a lively Q&A session. The coming lectures are scheduled on October 14 and 21, titled “Manipulating Life and Nano Domains with Supramolecular Chemistry” and “Visualizing Cancer Cells by Microscopy”.